I always look forward to your posts. A great thought for the end of the day. Thank you. thank you, Mary Beth — it means a lot to me to hear that! I also like to think of the spring ephemeral wildflowers that only last until the forest canopy fills in. I just saw the last of the yellow lady slippers on a walk this morning. Even though they are leaving, the columbine and others are coming in to keep the forest beautiful. Thank you for this thought on other things ephemeral. Thanks, Emma — I saw some of the columbine in the woods this morning — so beautiful! I love ephemeral. I love the word, the idea, the objects (letters, wildflowers, etc.). 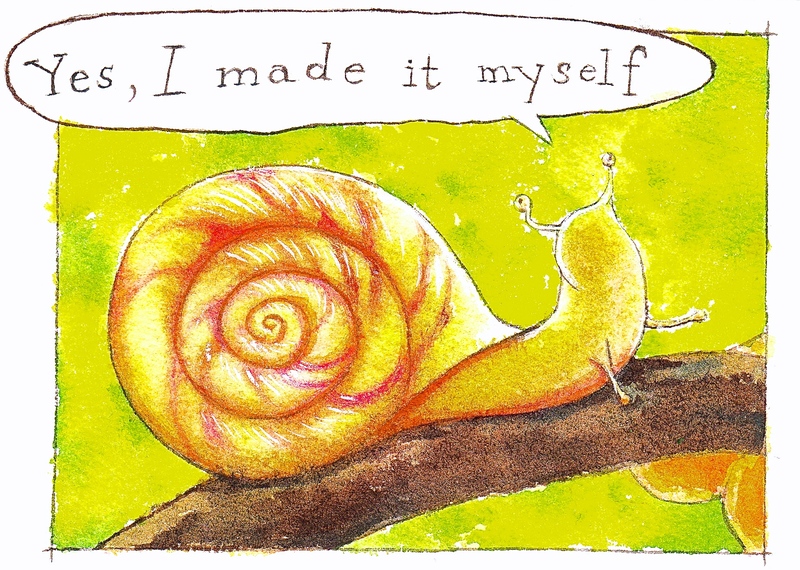 I love your snail and his proud yet modest satisfaction.